With the development of Big Data research, visualization and visual analysis have gradually become research hotspots in the field of big data, and have been rapidly developed, playing an increasingly important role in the era of big data, and the application prospects are increasingly broad. Visualization and visual analysis are the basis for understanding the intrinsic laws and models of complex phenomena, from biophysical multimodal information to climate change across centuries, from day and night in international metropolises to high-precision simulation of pneumatic aircraft. Visualization, a discipline that spans traditional boundaries, can quickly and efficiently streamline and refine data streams to provide users with deeper information. This forum invites many well-known experts in the field of visualization at home and abroad to introduce key technologies and typical applications of big data visualization and visual analysis from multiple perspectives, and explore how to further actively promote the innovation and development of technology and disciplines. 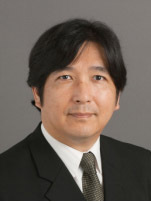 Issei Fujishiro is Chief Professor of the Center for Information and Computer Science, Graduate School of Science and Technology, Keio University, Yokohama. He received his Doctor of Science in information sciences from the University of Tokyo in 1988. His research interests include graphical modeling paradigms, applied visualization design, and smart multi-modal ambient media. He has been serving on the steering committee for IEEE SciVis and IEEE PacificVis and the editorial board for IEEE TVCG (1999 to 2003, 2018 to date) , Elsevier Computers & Graphics (2003-2013), and Elsevier Journal of Visual Informatics (2016 to date). He was a guest editor for IEEE CG&A (Vol. 35, No. 6, 2015 and Vol. 28, No. 5, 2008). He served as a Chair/Co-Chair for PacificVAST 2018, CGI 2017, TopoInVis 2017, ACM VRCAI 2015, PacificVis 2014, Cyberworlds 2013, and IEEE SMI 2006 and served as a Program/Paper Co-Chair for Cyberworlds 2019, SciVis 2018, VRCAI 2014, PacificVis 2008, and Volume Graphics 2005/2003. He is a member of Science Council of Japan. Abstract: Astrophysics can be regarded as the ultimate remote sensing because no one can travel to see real heavenly bodies located far from the Earth. The only option for astronomers is to observe and study a variety of signals emanating from the distant bodies. This might lead to their enthusiasm for data visualization, compared to ones in other disciplines. Indeed, astrophysics relies heavily on the values of observed data visualization and analysis. In this talk, an overview of the latest research results from our collaborative research projects with astronomers will be given, including asymmetric biclustering of multivariate data for correlated subspace mining and its application to supernovae categorization, TimeTubes for visually extracting feature polarization variations from long-sequences of observed blazar datasets, and aflak as a novel visual programming environment to conduct fine-grained transformations, filtering and visual analyses on multispectral astrophysical observations. Xiaoru Yuan, Professor, School of Information Science and Technology, Peking University, Ph.D. 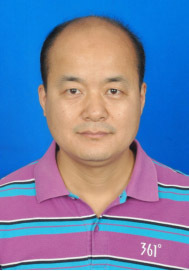 Supervisor, Deputy Director of the Key Laboratory of Machine Sensing and Intelligence, Ministry of Education, and Deputy Director of the National Engineering Laboratory for Big Data Analysis and Applications.In early 2008, he established a visual and visual analysis laboratory at Peking University. His research interests include complex flow field data visualization, high-dimensional/space-time data, traffic, social media data analysis, and rapid visualization methods. High dynamic range visualization work won the 2005 IEEEVIS Conference Best Applied Paper Award. In 2013, he guided the lab team to win more than 10 awards in the IEEE VAST Challenge. He received the Okawa Foundation Research Grant in 2018. He has served as a member of the International Visualization Conference Program Committee such as IEEE VIS, EuroVis and IEEE PacificVis. He created the ChinaVis 2018 conference. He is the editor-in-chief of the "China Computer Society Newsletter", "Journal of Computer-Aided Design and Graphics", Journal of Visualization (Springer) and other domestic and foreign journal editorial committees. He is the director of CCF and a Distinguished Member of CCF. Abstract: Visual analysis is an effective means of analyzing big data and is receiving increasing attention. As a very representative method in visualization, maps are an effective means of human geography and phenomena in generalization and symbolization. Since the Stone Age, humans have begun to make maps. Here, we discuss the case of drawing various semantic maps through data. At the same time, we will further discuss the visualization of maps as metaphors for virtual cyberspace beyond ordinary real physical space, with scientific observation data, high-dimensional data, Data such as cyber security and social media are targeted. Zhu Qing, Ph.D., Director of the Professor Committee of the School of Earth Sciences and Environmental Engineering, Southwest Jiaotong University, Chair Professor of Cheung Kong Scholars Programme, Millions of Talent Projects National candidates, Deputy Director of the Theory and Method Working Committee of China Geographic Information Industry Association, Deputy Director of the Expert Committee of Sichuan Disaster Reduction Committee. He has been engaged in the research and teaching of geospatial informatics for a long time, and has done basic and pioneering work in digital elevation models, three-dimensional geographic information systems and virtual geographic environments, and his research results have been widely used.He has been engaged in the research and teaching of geospatial informatics for a long time, and has done basic and pioneering work in digital elevation models, three-dimensional geographic information systems and virtual geographic environments, and his research results have been widely used. Abstract:Aiming at the major needs of the multi-modal spatio-temporal big data exploratory analysis of the ternary space fusion of human and physical objects in smart cities, the characteristics of human spatial cognition and artificial intelligence and augmented reality are fully considered. The paper introduces data (multi-source heterogeneous, high-dimensional, dynamic)-environment (complex storage and painting environment and multi-granularity analysis model) - task (diversity diversification, multi-level, fuzzy) integration of full-space augmented reality visualization engine. The article puts forward the concept of "super brain" with spatial thinking as the center, defines semantic-level visual variables, and establishes an adaptive visualization mechanism for task perception. The article explores its potential application value in combination with typical application cases such as intelligent facility management and public safety emergency response. 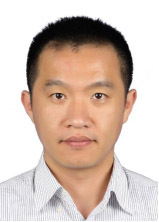 Yingcai Wu is a tenure-track assistant professor at the State Key Lab of CAD & CG, Zhejiang University, Hangzhou, China. His research interests lie broadly in visual analytics and visualization. He received his Ph.D. degree in Computer Science from The Hong Kong University of Science and Technology (HKUST), Hong Kong in 2009 and obtained his B.Eng. degree in Computer Science and Technology from South China University of Technology, Guangzhou, China in 2004. Prior to his current position, Yingcai Wu was a researcher in Microsoft Research from May 2012 to January 2015. He was a postdoctoral researcher at the Visualization research group in HKUST from January to May 2010, and at the Visualization and interface Design Innovation (VIDi) research group in the University of California, Davis from June 2010 to March 2012. Abstract: With the rapid development of urbanization, the data generated by the city shows an explosive growth trend, resulting in urban big data. The effective analysis of this data is the core of building a smart city, with a very broad business scene, research value and the prospect of the application. However, urban big data has many characteristics such as multi-source, massive and high-dimensional, which makes it difficult to analyze and reason about such data. Visual analysis is an important means of urban big data analysis by providing interactive human-machine interface, combined with automatic data mining algorithms and human intuition, experience and knowledge to assist in data analysis, reasoning and decision-making. This report begins with a brief introduction to the basic concepts and methods of urban big data and visual analysis, reports on the latest developments at home and abroad and their future prospects, and introduces work in related fields through multiple cases such as urban site selection and planning. 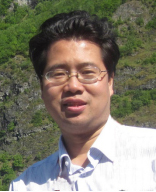 Nan Cao is a professor at TongJi University in China, with the joint appointment at both College of Design and Innovation and College of Software Engineering. 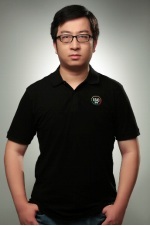 He is the founding director of Tongji Intelligent Big Data Visualisation Lab (iDVx Lab) . Dr. Cao is also an adjunct professor at NYU ShangHai and NYU Tandon. Before joining Tongji and NYU Shanghai, he was a research staff member at IBM T.J. Watson Research Center and he has worked for IBM for 10 years during 2005 - 2015. Dr. Nan Cao was recruited by Tongji University base on the national "1000 young talent program" in China. He received his PhD degree from the Hong Kong University of Science and Technology. Dr. Cao led many research projects related to data visualization in domains of information security, healthcare informatics, and urban computing. His primary expertise and research interests are information visualization and visual analysis. He is specialized in producing novel visualization techniques to represent and analysis complex (big, heterogenous, multidimensional, dynamic) real world data. Abstract: With the increasing popularity of electronic medical record systems in hospitals, more and more electronic medical record data is increasingly receiving attention from medical and analysts. These data completely record the patient's past medical history, diagnosis plan and corresponding results, and provide rich training data for artificial intelligence-based auxiliary medical treatment. In this report, we will review the application of intelligent visualization technology in the field of smart healthcare and decades of development, as well as a series of achievements and technologies made by the team of researchers in this field. As the founder of Tianyan products, Zhuo Zhang led the team to use 360's original information security protection technology concept to build advanced threat detection products, and successfully launched the market, and found many advanced attacks for the government, enterprises and institutions. Long-term work in the field of security research and development, big data threat analysis, visualization and visual analysis, Blackhat conference speaker, IEEE Vast Challeange outstanding award winner, translated "data-driven security" book, invention patent 10+. Abstract: Combining work experience, the author introduces how 360 enterprise security visualizes information, and visual analysis combines with its own products and services to create a strong vitality. Bring more value to customers. With the advent of the era of big data, security data is becoming more and more complex, and the need for visualization has become urgent. The author also shares some experiences from the industrial perspective and communicates with each other. Xiaoru Yuan, Professor, School of Information Science and Technology, Peking University, Ph.D. 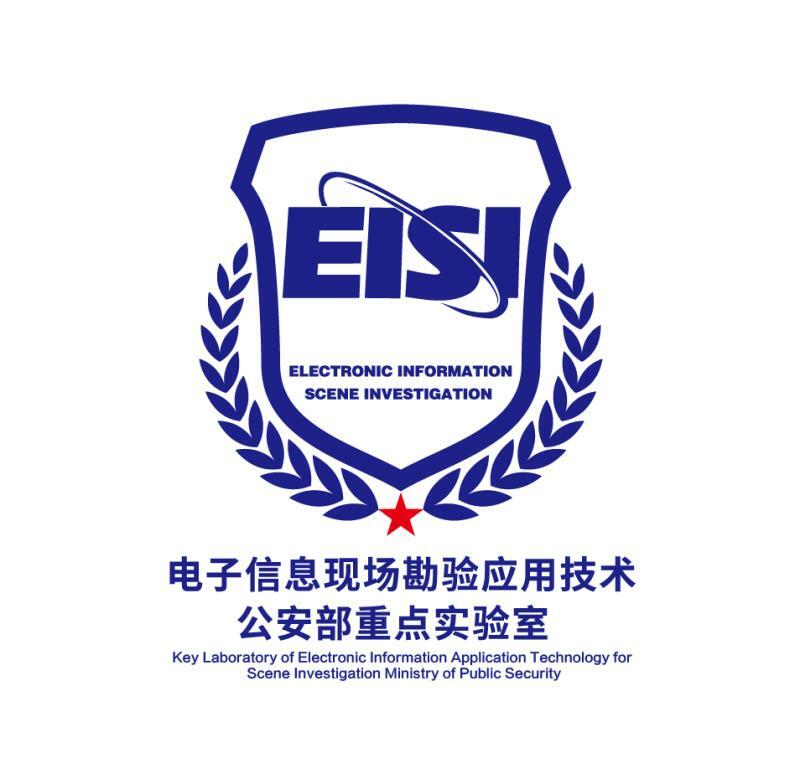 Supervisor, Deputy Director of the Key Laboratory of Machine Sensing and Intelligence, Ministry of Education, and Deputy Director of the National Engineering Laboratory for Big Data Analysis and Applications.In early 2008, he established a visual and visual analysis laboratory at Peking University. His research interests include complex flow field data visualization, high-dimensional/space-time data, traffic, social media data analysis, and rapid visualization methods. High dynamic range visualization work won the 2005 IEEEVIS Conference Best Applied Paper Award. In 2013, he guided the lab team to win more than 10 awards in the IEEE VAST Challenge. He received the Okawa Foundation Research Grant in 2018. He has served as a member of the International Visualization Conference Program Committee such as IEEE VIS, EuroVis and IEEE PacificVis. He created the ChinaVis 2018 conference. He is the editor-in-chief of the "China Computer Society Newsletter", "Journal of Computer-Aided Design and Graphics", Journal of Visualization (Springer) and other domestic and foreign journal editorial committees. He is a CCF member, a Distinguished Member, a Distinguished Speaker. Yining Quan, Associate Professor, School of Computer Science, Xidian University, Ph.D., Ph.D., Master Instructor, Head of Network Engineering, School of Computer Science, Xidian University. Senior member of China Computer Society (CCF), member of China Cryptography Society, ACM member. In July 1997, he graduated from Xi'an University of Electronic Science and Technology with a major in computer and application. In March 2010, he obtained a Ph.D. degree in cryptography from Xi'an University of Electronic Science and Technology. From December 2012 to December 2013, he was funded by the China Scholarship Council. Visiting scholar at Wayne State University in Michigan, USA. The main research directions are network security, big data analysis, machine learning and visualization. Currently, he is mainly engaged in research on protocol parallel acceleration and virtualization, social network big data analysis, big data visual analysis, cloud computing security and trust model. He presided over the completion of the Provincial Natural Science Fund; presided over the completion of one of the national “863 Program” sub-projects, and presided over more than 10 horizontal research projects. 3 patent applications have been granted and 2 have been authorized. In recent years, he has published more than 30 articles in domestic academic journals and international conferences such as the Journal of Communications, Xi'an University of Electronic Science and Technology, among which more than 20 SCI/EI searches.